Ekiti is one of the new states that was created last, as such we are still in need of more development and more federal presence. 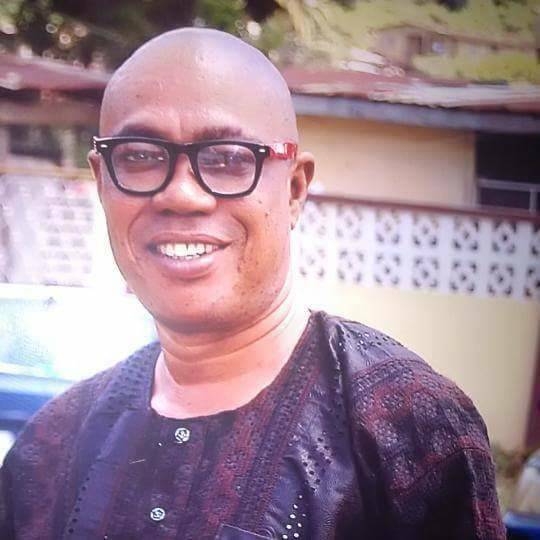 Tope Olanipekun, known among the locals as Tugere, is a former chairman, Ado council. He also represented Ado central constituency 1, in the Ekiti State House of Assembly from 2007 to 2011. He explains why he wants to go to the House of Representatives next year on the platform of the All Progressives Congress (APC). Why do you think you should now represent your people at the House of Representatives? Before joining politics, I was a senior staff, an accountant with Ekiti State University for 12 years and in 2007 I contested for the state House of Assembly seat on the platform of the then Action Party of Nigeria (ACN) and I won and represented Ado Constituency 1 at the state assembly. This was during the Segun Oni’s administration as governor. I have been doing part time politics since 1989 so I am an old horse. I was the Secretary General of YOFA, Ekiti Youths For Adebayo, a pro-Adebayo political movement. Now I want to represent my constituency at the Federal House of Representatives. After my sojourn in the Ekiti House of Assembly for years, I became the chairman of Ado Local government chairman for two years. This was during Fayemi‘s first tenure. I was the first chairman to bring traffic light to Ado local government area. We were able to bring development to Ado in particular during my tenure as chairman; I started and completed the local government secretariat complex and the Adere market on Ilawe Road. Ours was a golden era as we equally gave massive empowerment to our indigent youths, bursary for students and support for education. I believe I need a bigger platform to bring federal presence to our people, that is why I am running. Ekiti is one of the new states that was created last, as such we are still in need of more development and more federal presence. That is why President Buhari should be commended for bringing development to our people. We will soon have railway passing through the state, we need a Ring Road in Ado Ekiti and more of our people in federal appointments. As we are taking over the state government soon, we will work assiduously with the governor, Dr. Fayemi to deliver dividends of democracy to our people in Ado and Irepodun and Ifelodun councils, which is my constituency. We will ensure that we work with the state governor and the federal government to ensure development and more presence of our people in federal positions. I want to urge our people to look at the antecedents of those of us contesting especially those of us who have served before and I know that with what I had done in the past, I am sure they will support me to bring more development to the people. What is your take on the recent defections that hit your party and call for resignation of Saraki by your party national chairman? to resign. And I want Saraki to just do that. Saraki has been the thorn in the flesh of our party he has not allowed us to progress. He still has issues hanging on his neck such as the alleged link with criminals. So I want to believe that the most honourable thing for him is to resign. What is your take on the news making the rounds that like in the case of Governor Ortom of Benue State, to join APC is to be a saint while you become a criminal once you leave the party? That is just a fallacy and position of the opposition. There are many members of APC that still have issues with EFCC and I want to tell you that the APC doesn’t believe that once you are a member you are a saint. Corruption has been in our system for long and to erase it will take time. All the herdsmen attacks are sponsored by those who don’t like the government of the day and who want to sabotage the government of APC. If a government is doing well you may want to join them just like some progressive minds are currently joining APC. Many are defecting for selfish interests. President Buhari has been waging a serious war against corruption but many are not happy with that development and that is why most of them are defecting from our party so they can take power from Buhari and disallow him from continuing the fight against corruption. They know that should Buhari go for a second term it will spell doom for their corruption and they want to stop him by all means. There have been development in Nigeria since President returned, the refineries are coming back and Ajaokuta has also been revived.